Recent years have seen a growing concern for the environment and the impact that countless industries have on it. 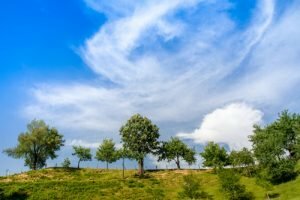 Traditionally, only a few industries around the world have shown interest in protecting our environment, with others focusing predominantly on increasing their revenue without regard for consequence. There’s been a paradigm shift, however. More and more companies are trying to reduce pollution, trying to limit their waste production, and are opting for greener or eco-friendlier ways of conducting their business. The focus of many companies today is on the circular economy. There are still many changes that need to happen, but a select group of companies are already paving the way for a brighter and cleaner future. Some are focusing on recycling used clothes, others on recycling electronics. Plenty of companies in between are making their mark as well, so let’s have a look. Before we delve into the companies that are taking part in the circular economy, let’s take a look at what that kind of economy entails. For a long time, our economies have been linear. 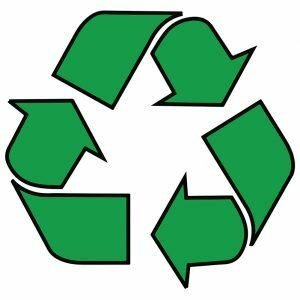 Meaning that raw materials are used for the production of an item, that item is then used, and thrown away, usually becoming part of the non-recyclable waste. New items ask for more raw material, creating more waste, throwing that linear economy into a vicious cycle. The circular economy is based on recycling, up-cycling, and reusing as many things as possible. Waste paper is reused to make new paper, broken glass is recycled to create new glass, used clothes are brought back into the market, etc. “Circular economy” refers to preventing waste, producing materials more efficiently and constantly reusing them. It entails making everything sustainable. When new raw materials are needed, their use mustn’t damage our environment. The world becomes a healthier and cleaner place when the principles of circular economy are implemented. It’s not just about reducing waste during the production process. It’s about treating our environment responsibly, preventing litter on the streets, and the pollution of our surroundings. Every year, about 8 million metric tons of plastic are thrown into the ocean. It’s predicted that by 2050, plastic will outweigh all the fish in the ocean. The world is currently facing a crisis that needs to be dealt with immediately. Full Cycle Bioplastics is one of the companies concerned with the environmental impact of plastic use, and they’re doing their fair share trying to solve this problem. This San Francisco-based company is still in the early stages, but they’re setting an excellent example. They’re focused on transforming organic matter into an eco-friendly alternative to oil-based plastics. The organic materials used are marine degradable and compostable. Their solution limits greenhouse gas emissions and reduces plastic pollution. Another champion that’s trying to deal with the problems of plastics is Thread. Unlike Full Cycle Bioplastics who are coming up with alternatives to oil-based plastics, Thread is looking for alternative uses of existing plastic. Employing informal waste collectors from developing countries like Haiti and Honduras, they’re up-cycling PET bottles into reusable fabrics. Basically, they’re taking the plastics thrown around the neighborhoods and converting them into thread used for apparel. They’ve joined up with companies like Aerie, Reebok, Timberland, and Marmot, and they supply them with this type of ‘responsible’ fabric. While their end product is not organic, it is helping to save our planet because otherwise that plastic would be left in landfills, streets, and canals, and would continue polluting the environment. On a humanitarian level, Thread is helping the locals of Haiti and Honduras escape poverty by providing them with jobs, making this a win-win solution for all. About one third of food produced for human consumption is wasted every year. That’s approximately 1.3 billion tons annually. Bread accounts for a lot of that waste, and there’s a company out there that’s found quite a creative solution to this. Meet Toast Ale, a British beer brewery that’s making use of bread that’d be discarded and thrown away. Collecting surplus bread from bakeries, delis, and sandwich makers, they incorporate it into their brewing process to make quite a nice beer. Their method is pretty simple, coming from ancient history when Babylonians used to turn their stale bread into beer. Not wanting to keep their solution a secret and hinder the attempts to make the world a better place, they’ve made their recipe public. Levi is a world-renowned company, famous for its high-quality jeans. They’re committed to the circular economy and to creating a circular infrastructure sooner rather than later, with plans to do just that by 2020. Almost 100% of textiles and clothing can be recycled, yet over 15 million tons of textile waste is generated annually in the United States alone. Levi Strauss & Co is on a path to change that. 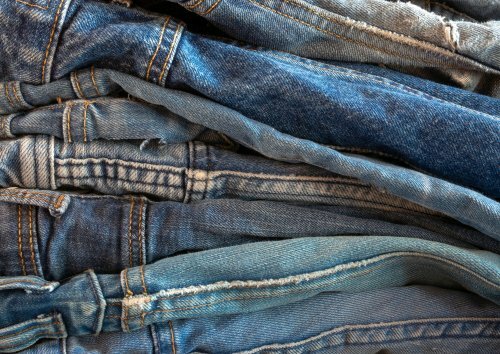 They’re devoted to making recycling easier for everyone, allowing all old clothes and shoes to be brought to any Levi’s store for further repurposing, reusing, and recycling. This is not limited to their products only. Any old clothing item from any brand can be brought to them. The clothes are later transformed into insulation for buildings, cushioning material, new fibers for clothing and old jeans are transformed into new ones. At Bank & Vogue, we’ve been huge proponents of the circular economy for many years now. The clothing and textile industry is the world’s second largest polluter, but we’re helping to pave the path for change. Being the leader in the buying, selling, and global distribution of wholesale used clothes, we bring the fashion economy full circle. Our goal is to breathe new life into old clothing, finding new homes for both credential clothing and mixed rags. 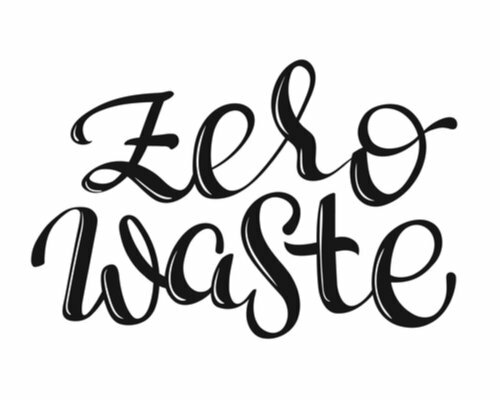 One of the ways to limit textile waste is to reuse it, extending the life of used clothes and keeping them away from the landfills. 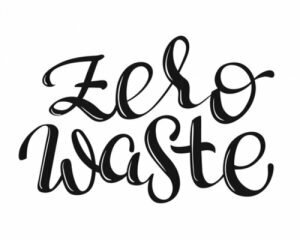 Our mission is to help save the environment and focus on sustainable solutions, keeping products and materials in use and reducing the waste generated. Join Bank & Vogue in creating a better tomorrow today.